A handful of serious candidates have applied to become the next University of Central Florida president, including current UCF Provost Dale Whittaker and current or former top officials from North Carolina, Ontario and Colgate, with two days remaining before the application deadline. 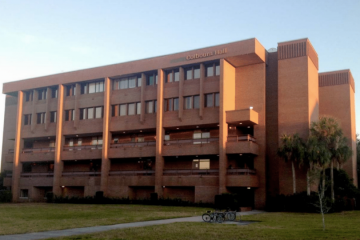 Of 31 candidates who have applied for the job that comes open July 1 when UCF President John Hitt retires after nearly 26 years, only a small handful reported any experience in top leadership positions at universities or business. So far, no politicians have applied yet, though they still have until Thursday to get applications in. The salary will be negotiated but Hitt leaves with a pay in excess of $500,000 a year. On paper, Whittaker, who applied last week, is among the top candidates, perhaps alongside James Dean, former provost and executive vice chancellor of the University of North Carolina at Chapel Hill; Amit Chakma, president and vice chancellor of the University of Western Ontario in London, Ontario, Canada; Jeffrey Herbst, past president of Colgate University in Hamilton, N.Y.; and James Weyhenmeyer, vice president for research at Georgia State University in Atlanta. The UCF presidential search committee meets Thursday morning at 9 a.m. at the Fairwinds Alumni Center to review all the applications and whittle down the pool to a list of semifinalists. 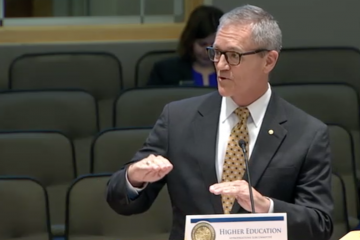 Whittaker has been Hitt’s top vice president and UCF’s chief academic officer since 2014 and would be seen as the natural heir to Hitt’s policies that have been widely embraced by the UCF Board of Trustees and the Florida Board of Governors. He also has extensive experience as both a vice president and a professor at two other major public research universities, Purdue University in Indiana, and Texas A&M University. 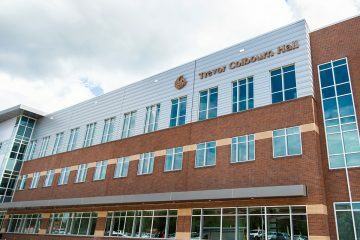 Competition includes Dean, who, until September held a comparable position to Whittaker’s, but at UNC-Chapel Hill, a university that has many things that UCF aspires to, including universal national recognition for its overall academic program. Chakma is the only sitting president of a university who has applied for the UCF presidency so far. 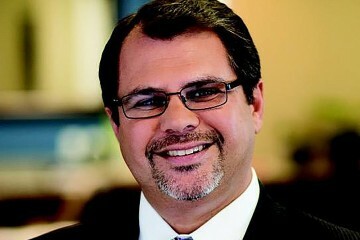 He’s been the chief executive at the 28,000-student university generally known as Western University since 2009, and before that held appointments in both the leadership and academia of other Canadian universities. Herbst may be a tempting choice, considering that, like Dean, he is very available, currently between major jobs. He brings experience as a president of an Ivy League school, having served five years as Colgate’s president. Before that was provost at Miami University in Ohio, a public university with a well-regarded academic reputation; and was a department chair and political science professor at Princeton University. Herbst left Colgate to become president and chief executive officer of the Newseum, a journalism and freedom of speech museum in Washington D.C. However, he resigned that post in August as the Newseum board launched a fiscal review of that institute’s chronic financial struggles. 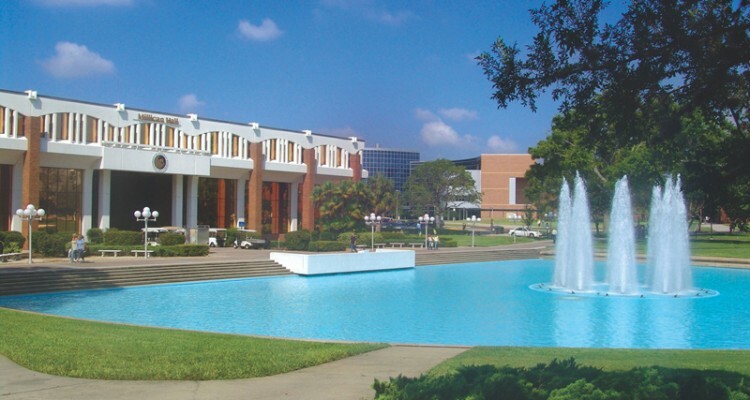 Weyhenmeyer is at a university very much like UCF in a key way: an urban research university, dedicated to meshing the university’s research and academic programs with the industrial technology of the region. That is what Weyhenmeyer has been in charge of as vice president for research and economic development since 2011. Georgia State also is huge like UCF, boasting 52,000 students, according to Weyhenmeyer’s application. Other candidates so far included Brian J.R. Stevenson, past president and vice chancellor of Lakehead University in Thunder Bay, Ontario, Canada; Richard L. Brown, executive vice chancellor for administration and finance at the University of Tennessee at Chattanooga; Richard Pestell, president of the Pennsylvania Cancer and Regenerative Medicine Center in Doylestown, Pa.; and Anne Garrett, superintendent of the Haywood County School District in Waynesville, N.C.